It's today's world. Humans are in charge of themselves. Science coexists with alt-facts. Politics mingles with anti-government movements. Religion dances with skeptics. Yes, it's a typical year in the span of man. So what could go wrong with man's usual conflict and blind progress? Nothing . . . until it all unravels in the blink of an eye. Welcome to tomorrow's bizarre world of gravitational death, the destructive evolution of man, and random acts of courage. A preacher in rural Georgia awakes one Sunday morning with a vivid prediction that millions would soon die. He feels compelled to share his profound revelation with his congregation. But his wife is unconvinced, blaming his nightmare visions on bedside bourbon. She threatens to ban alcohol from the house. Career politicians and other repeat offenders die by the thousands when they are repulsed from Earth by terrifying reversals of gravity. An injured bicycle messenger in San Francisco learns to control his own gravity. People call him Jesus Part 2, but he has more noble plans than just pretending to be the next savior. 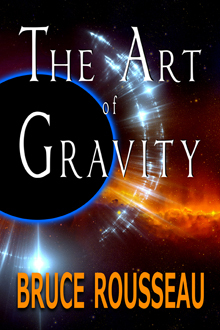 Read the first several chapters for free: Preview The Art of Gravity Now!